Shaykh Uthaymeen: This question has been addressed before and the answer is that this is not from the way of the believers and nor from the way of the Salaf as-Saalih and that it is not permissible for a person to boycott his brother for more than three days, such that they meet and this one turns away and that one turns away. The better of the two is the one who initiates the salaam. 1) Some Sufis like to link the name to Ahlus-Sufaah (people of As-Suffah) who were at the time of the Prophet (ﷺ). 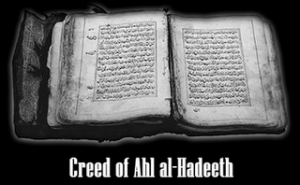 They claim that there are great resemblances between the Sufi adept and Ahlu-Suffa. Those were poor people from the Muhaajireen who migrated from Makkah to al-Madeenah fleeing the persecution of the pagan Arabs. They were driven away from their homes and had neither money nor families, nor a place to stay. The Prophet (ﷺ) and the companions (ﷺ) assisted them and he (ﷺ) allowed them to stay in a courtyard by his Mosque. The fact, however, is that those poor Muslims resorted to the Mosque out of necessity. Their numbers increased at certain times and decreased at other times. Some of them stayed longer than others. So they were not a specific group united on something. Sufism in its early stages stressed the concepts of detachment from the worldly life, poverty, isolation, etc. The people of As-Suffah did not choose such concepts. They were in need and the Muslims helped them. They did not isolate themselves. In fact, they engaged in Jihaad whenever it was announced. When Allaah, the Most High, bestowed from His bounties upon the Muslims, some of them became free of want and were among the richest of the Sahaabah and others became leaders in some Muslim lands. The sufis would like to establish a linkage with the Prophet’s era and claim as well that he approved the early seed of Sufism exemplified in Ahlus-Suffah. In addition, and from a linguistic point of view, to derive Sufism from As-Suffah is wrong, because the correct term would be ‘Suffism’ and not Soofism. 3) As-Safaa’ (الصفاء): Other Sufis claim that the term is derived from As-Safaa’ which means clearness, purity, sincerity. This is disputed by other Sufis and linguistically it does not fit. The derived term would be Safwee, Safaawee or Safaa’iee not Soofee. (a) The people of “Soofah” were not known well enough to be remembered by most of the early Sufis. (b) Had this affiliation been correct, it would have been known in the times of the Sahaabah. However, such an affiliation was not known then. 5) Sophia (سوفية): The historian and philosopher Abu Rayhaan Al-Bayrooni (d.440 AH) mentioned that the word “Soofism” springs from the Greek term “Sophia” meaning wisdom. The Greek were the first to speak of the concept of Wahdat Al-Wujood (Unity of Existence: that all existence is a single reality which is Allaah, and that everything we see is one aspect of Allaah’s Essence). Though one cannot confirm nor deny the authenticity of this derivation, it is certain that Sufism during its course of development was highly influenced by the Greek and Hindu philosophies. 7) The term is not derived: This opinion is held by some important figures in Sufism like al-Qushayriee and al- Hajooyari (d.456 AH). They say it is just a given title. Such a claim is a strange and very weak one, because none of titles adopted by any sect lacks a meaning associated with it. 1-Limitless figurative interpretation of the texts and/or the sayings of their masters. 2-Classifying the Deen into Thaahir (Sharee’ah) applicable to the common Muslims and Baatin (Hidden) known only to the Masters and mystics. 3-Accommodation of any deviation in matters of creed, worship, or morals. The extreme Sufis accommodate all creeds and all sorts of innovations. 4-The deviated relationship between the Master and the disciple. 5-The state of Kashf claimed by Masters in the Sufi orders in which they perceive and witness all of the realities of existence as well as those of the Ghayb (unperceived realities). 6- Emphasizing Manaamaat (dreams), fabricated stories and/or ahaadeeth, as well as Shatahaat (intense and wild emotional state of excitement and agitation arising form what they call sudden Divine touches and during which the mystic utters unlawful innovated and mystic words, hallucinations and in many cases plain Kufr). Yet they say their utterances are due to the mystics being in a state of spiritual intoxication, e.g. “Praise be to me (subhaani),” and “Under my robe there is only god. 1) Imaam Ibnul Jawzee supported this view in his book Tablees Iblees, p. 201. 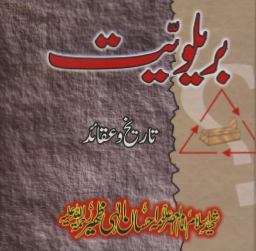 2) See Majmoo’al-Fataawaa by Shaykhul Islam Ibn Taymeeyah, vol. 11, p. 6. 3) Ar-Rissalah Al-Qushayriyyah, p. 126, published by Daar al-Kitaab Al-‘Arabi, Beirut (1957). 4) Reported by Abu Dawwod (English Translation no. 4063) and Ahmad in his Musnad (6:132, 144, 219, 249) and others. Al-Haakim said: “It is authentic according to the conditions set by al-Bukhaari and Muslim,” and Ath-Thahabi agreed. Al-Albaani reported it in As- Saheeha (2136). 5) Agreed upon. 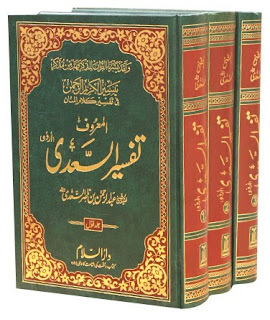 See Saheeh Al-Bukhaari, vol. 7, no. 704. 7) See Taqdees Al-Ashkhaas, pp. 40-44, Masaadir At-Talaqee, pp. 35-37, and At-Tasawwuf: Al-Mansha’ wal Masaadir, pp. 36-39. Firstly: Asking questions in a good manner. Secondly: Remaining quiet and listening attentively.